TCL is "currently committed to Roku," according one spokesperson. A key feature of its TVs is the integration of Roku OS, one of the most popular streaming platforms. It has access to hundreds of apps, and on TVs treats built-in inputs the same way, for instance making it easy to switch between Netflix, a cable box, and a game console. Mobile apps with Google Cast support can push audio and video to Roku devices. Neither TCL nor Roku have explicitly denied the possibility of adding AirPlay. Roku simply doesn't "have anything to share regarding this now," a spokesperson told MacRumors. An online petition is meanwhile calling on LG to bring AirPlay 2 to OLED sets going as far back as 2016. Apple's official roster of AirPlay 2 TVs mentions only LG's 2019 OLED, UHD UM7X, and NanoCell SM8X and SM9X models. 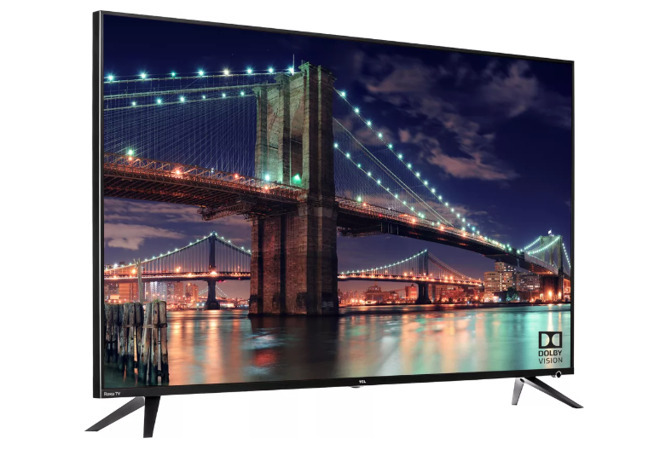 That contrasts with Samsung, which is backing both 2018 and 2019 TVs, and Vizio, which is updating sets reaching back to 2017. Sony is joining LG in restricting compatibility to 2019 hardware. Samsung's compatible hardware is all based on Tizen. Visio's televisions have Android operating systems, and WebOS devices are also theoretically compatible in software. A possible limitation is the system-on-a-chip that is in older gear —or it may just be a corporate decision to force users to buy a new television if they want the Apple compatibility. AirPlay 2 will let people with Apple products push photos, video, and audio to TVs, including through Siri commands like "Play 'Blade Runner 2049' in the Living Room." In most cases it also means HomeKit integration for purposes like automation, and controlling some TV functions through the Apple Home app. Samsung TVs appear to be missing HomeKit.